The Liberals had initially projected the adjustments — which include the creation of a new, upper bracket — to be revenue-neutral. The parliamentary budget office says the plan will actually lower government revenues by more than $8.9 billion over six years. The federal budget watchdog says the Liberals' tax-bracket changes will drain about $100 million more per year from the public treasury than the government expects. Since winning the election, the Liberals fulfilled their campaign vow to cut federal income taxes for middle-income earners by raising the rate on the highest-earning Canadians. The Liberals had initially projected the adjustments — which include the creation of a new, upper bracket — to be revenue-neutral. But last month they acknowledged the plan will actually lower government revenues by more than $8.2 billion over six years. The parliamentary budget office now says that figure will be $8.9 billion. The budget office's calculations, like those of the government, made assumptions on how people at different income levels might respond to the tax changes. The report released Thursday says some people may adjust how much they spend, while those in the highest bracket may take steps to lower their tax payments. "Between 2015-16 and 2020-21, the revenue gains from the new tax rate would fall short of covering the loss in revenues from reducing the rate on the second tax bracket by an estimated $8.9 billion," the report said. The government's new measures, already introduced for 2016, have lowered the income-tax rate to 20.5 per cent, from 22 per cent, on people earning between $45,282 and $90,563 per year. To help pay for that change, Ottawa added a 33 per cent tax rate on income earned by those who make more than $200,000 per year — the top one per cent. Previously, the highest tax rate in the country was the 29 per cent bracket, which applied to incomes between $140,388 and $200,000. 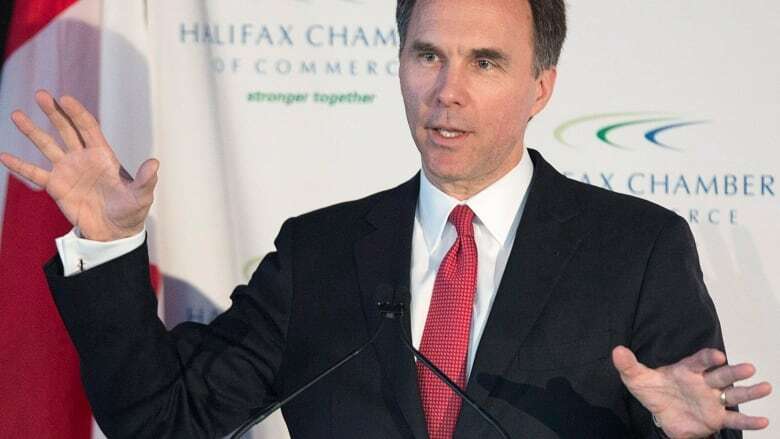 Last month, Finance Minister Bill Morneau said the revenue cost of the changes would be $1.4 billion in 2016-17 a shortfall that's projected to rise each year until it hits $1.7 billion in 2020-21. On Thursday, the budget office estimated the net cost of the measures will have a net drain on the public books of $1.6 billion in 2016-17. That number will creep up each year until it reaches $1.9 billion in 2020-21. The numbers were crunched after New Democrat finance critic Guy Caron asked the budget office to examine the fiscal impact of the Liberal tax changes. He also made a request to the office to explore the potential revenue loss if the government were to lower the tax rate to 14 per cent for the first bracket, from its current level of 15 per cent. That bracket covers those who earn up to $45,282 of taxable income — about 17.9 million people. The budget office estimates such a change would have a net reduction on government revenues of $3.7 billion in 2016-17, a figure that would grow annually until it hits $4.4 billion in 2020-21.